Robo Skull Neoprene Facemask | BUDK.com - Knives & Swords At The Lowest Prices! Ride your bike in style! 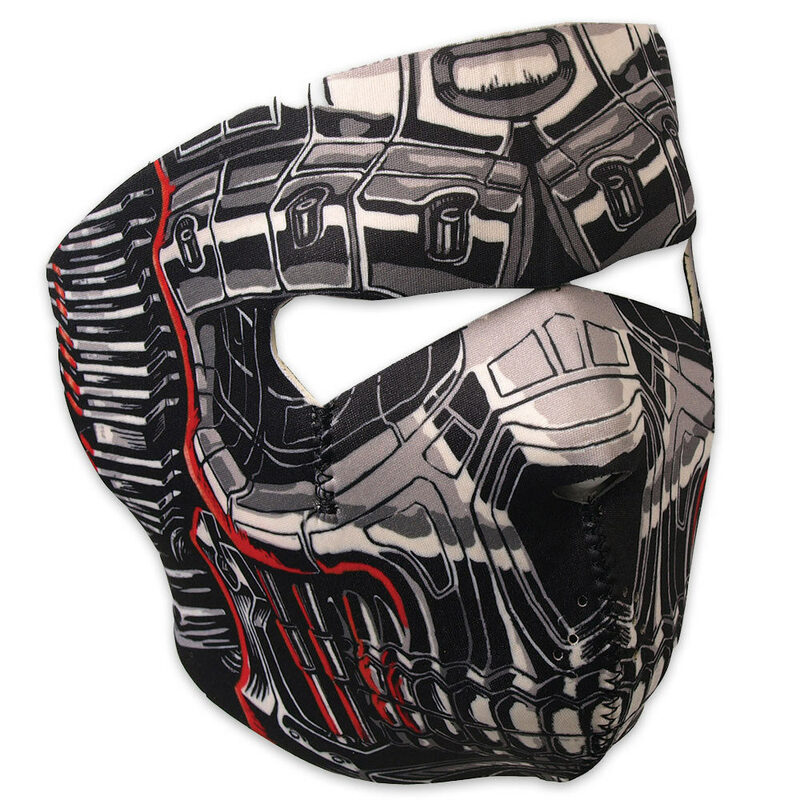 This lightweight Neoprene facemask is the perfect accessory to your biking gear! I ordered this to use for snowmobiling, and was disappointed that it won't fit me at all. I even tried trimming the eye holes, but no luck. If you are an average sized person, it looks cool, but big guys, don't buy this!